Back in 2013, Nikon introduced its first AF super-telephoto with fluorite to reduce the weight while also suppressing color blurring with the 800mm f5.6E FL ED VR. 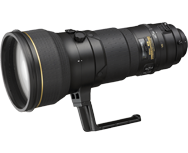 The 400mm f2.8 is the second model in the maker’s super-telephoto lineup to undergo the same treatment. Read on to find out how well this substantially revised lens performs. In Part 2 of “Best lenses for the Nikon D750” we’re looking at the performance of primes on Nikon’s latest full-frame DSLR. We’ve analyzed over 60 fixed-focal-length lenses on the D750, including Nikon’s own Nikkor brand and third-party alternatives. Covering focal lengths from 14mm through to 600mm, the scores include some of the best results our technicians have ever recorded. In this second installment of lens recommendations for the Nikon D810, we’ve been analyzing the best performing models for landscape and wildlife photography. Admittedly when it comes to fast-paced photography there are better choices in Nikon’s range but there’s always a case for high-resolution imagery but the Nikon D810 also serves to highlight the best performing models, and particularly in the longer focal lengths where it’s more common (and often more practical) to use cameras with lower pixel densities. Aimed at professional studio and landscape photographers, the full-frame 36-Mpix D800E with its modified AA filter effectively increasing resolution over the standard D800 model is the closest 35mm full-frame camera yet to rival larger formats in rendering fine detail. If you’re undecided over which of the two models to choose, we’ve analyzed the image quality of the Nikon D800E with over 100 different lenses to discover how well this groundbreaking camera performs. Following on the from the lens recommendations for the new mid-range DX format Nikon D5300, we’ve now completed the assessment of the full-frame Nikon Df. We’ve tested the camera with more than 90 Nikkor and third-party prime lenses and zooms to assess image quality. Read onto find out which of these lenses perform best when paired with the new camera. Following on from the lens recommendations for the earlier full-frame Nikon D600, we’ve now had the opportunity to assess a wide range lenses with that model’s replacement, the 24-Mpix D610. We’ve analyzed a total of 95 Nikkor and third-party prime and zoom models with the D610 to assess image quality, and we’ve come across some unexpected results. Read on to find out more about that and which lenses perform best when paired with the camera. Following the recommendations for Nikon D7100, we’ve had the opportunity to assess another of the firm’s 24-Mpix DX format cameras – the mid-range D5200 - with over 120 Nikkor and third-party prime and zoom models to assess image quality. Read onto find out which of these lenses perform best when paired with the camera. This is the third part in the series of our lens recommendations for the Nikon D7100 where we’ve analyzed nearly 46 Nikon and third-party telephoto prime and zoom models to assess their optical quality. Read onto find out which of these lenses are the best performers when paired with Nikon’s ultra-high resolution 24-Mpix APS-C format semi-pro model.